As we noted in our First Look, this is a stiff, directional ski. It’s also a pretty lightweight stiff, directional ski (2022 & 2047 grams per ski). So what did all of this all amount to on snow? In short, a pretty “game-on” ski. On snow, the tails of the Dictator 3.0 feel very stiff — and punishing — if you either (A) land too far back on them, or (B) fall into the backseat in the bumps. But that’s not really a criticism per se, since Faction is very, very clear in their description of the Dictator 3.0 that this is a ski for experts. So those who are primarily looking for a ski that will forgive a bunch of mistakes ought to look elsewhere. 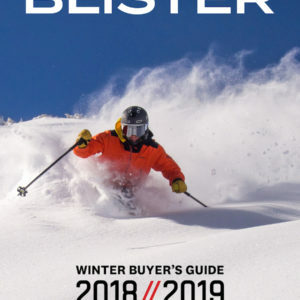 Reviewer Sam Shaheen (who, as you shall see, has a flair for being quite quotable), called the Dictator 3.0 “One of the least forgiving skis I’ve ever skied. If you fall into the backseat, it will shred you to bits.” Well, then. Keep in mind that I am 5’10”, ~175 lbs, and Sam is 5’10,” ~135 lbs. So heavier skis may find the Dictator 3.0 to be a bit less demanding than Sam and I did. And please also keep in mind that “demanding” isn’t in and of itself a criticism in this sense, too: you don’t criticize a race car for lacking a luxurious interior or plush suspension. You criticize it if it isn’t fast and / or can’t be pushed hard. A good bit of our time on the Dictator 3.0 was spent at A-Basin sending cornices and skiing fast through the ensuing runouts. 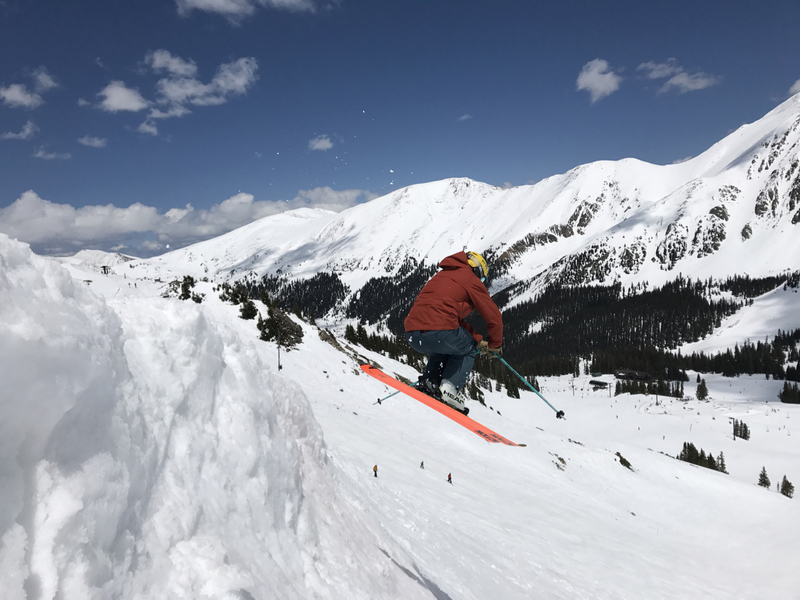 Jonathan Ellsworth on the Faction Dictator 3.0, Arapahoe Basin, CO.
And the clear takeaway from the Dictator 3.0 was that the ski wants you to land centered or forward. Land on the tails, and you’ll get taken for a ride. You can ski the 3.0 from a more upright / neutral position. But you cannot get backseat. As the groomers got more and more beat up throughout the day and there were more (and bigger) piles of pushed around slush, the Dictator 3.0 began to feel a bit jarring to carve at speed. 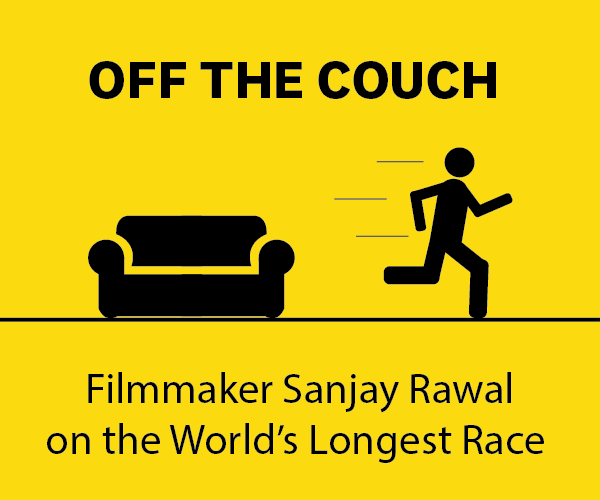 I was going very fast, and I can’t exactly say that I was in control — I didn’t really feel like, if I needed to, I could easily shut this ski down. On mellow mogul runs with nicely-spaced bumps (e.g., A-Basin’s Ram Rod), the Dictator 3.0 is a strong ski that will allow you to go as fast as you want / are able to turn. But on weird, messed-up, double-fall line moguls (e.g., like those veering off diagonally from under the Pali lift) the Dictator 3.0 requires a lot of focus and precision — again, get back on those tails, and you’ll be in trouble. So in big, weird bumps at speed, Sam and I both had to really focus on staying on the tips of the skis. And all the smearing around I’d been doing this past spring on a number of easy, reverse-camber skis probably didn’t prepare me well for the Dictator 3.0. Sam’s comment was, “This ski takes a huge amount of energy to ski. If I skied it every day I would get really strong, and it would make me a better skier.” Yep, true. Especially in bumped-up terrain or the more variable the conditions, the Dictator 3.0 demands both power and precision. Some skis (like the much heavier HEAD Monster 108), are monster trucks that don’t require all that much precision, mostly just power. But again, the Dictator 3.0 isn’t a monster truck, it’s a race car. So Where Does the Dictator 3.0 Shine? So let’s get to where we think the 3.0 would be particularly amazing: attacking big-mountain lines in good snow. And given the low weight of the Dictator 3.0, we are inclined to add, “Especially if you are touring to get to those big-mountain lines.” Because in thinking of other skis that are just over 2000 g per ski, it’s hard to think of many other skis of this length and width that would have the top end of the Dictator 3.0 (again, particularly in smooth, good snow). Many of the other ~2000 g / 105mm-wide skis have more tip and tail rocker, and / or a tighter sidecut radius, and / or a softer flex than the Dictator 3.0. So if you are a physically strong skier with advanced or expert technique and you are touring — or boot packing — for big faces or narrow straight lines, the Dictator 3.0 might be the perfect tool for going full maniac. But What about the Dictator 3.0 as an Everyday Resort Ski? “Whoa, this ski is demanding. It loves to be driven hard. I found it to be pretty exhausting to ski because it requires so much input. And yet, it doesn’t feel great at high speeds in variable conditions because of its light weight. So that’s Sam’s take, and I think he’s largely correct. But stronger and better skiers than us may have a different take. As we’ve said, in smooth conditions, there is no question that this ski can rage. 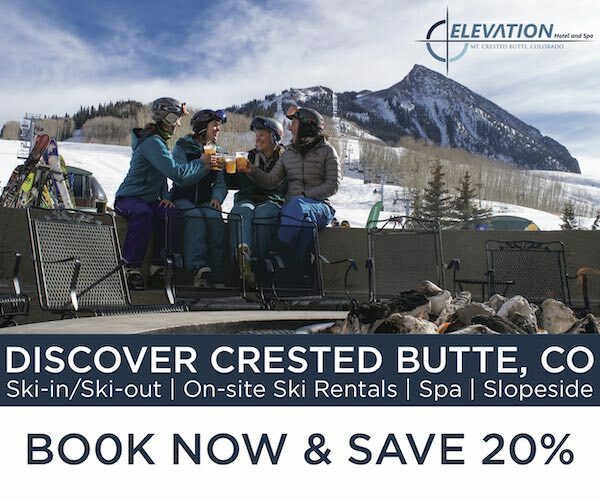 But when mobbing down under A-Basin’s Lewanee Chair, or on the runouts following airs off of King’s Cornice, I definitely found myself wishing that the ski was heavier — that I was working with more mass to help with the stiff flex of the ski. The Dictator 3.0 felt much stiffer and far less easy going than, say, the ON3P Wrenegade 108, and I don’t recall the Moment Belafonte ever feeling this hard to handle in similar conditions. 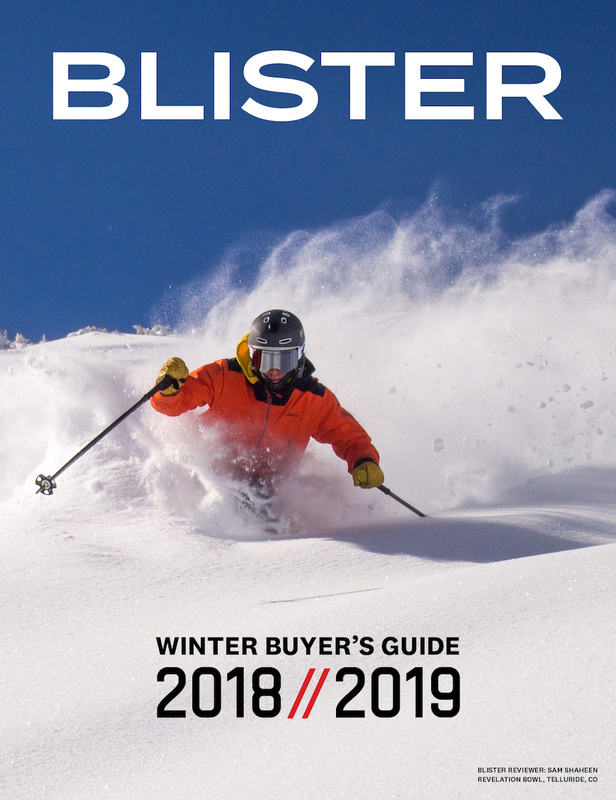 To be clear, I think this is a cool ski, but I would only recommend it to advanced / expert skiers who don’t need a forgiving ski, and who have gotten along with some lighter & stiffer skis in the past. At 2020 & 2047 grams, the 185 cm Dictator 3.0 is roughly around the weight of the 188 cm Rossi Soul 7 and the 188 cm Salomon QST 106 — and neither of those skis are stiff chargers made for “lunatics / maniacs.” So we’ll be curious to hear what others think of the Dictator 3.0, but we might suggest that by softening up the flex of the ski a bit — or else using a heavier construction to match the stiff flex pattern — the 3.0 would become a more accessible ski, and a ski that we could easily envision as more of a daily driver. Then again, there are plenty of “accessible” skis on the market, and a lot fewer skis out there that offer the specific performance characteristics of the Dictator 3.0. These days, lots of companies are making “chargers” that are so user-friendly and easy going that the “charger” label seems a bit misplaced. The Dictator 3.0 is not one of those skis. It is a “game-on” ski that calls for both power and precision, and it doesn’t come with training wheels. 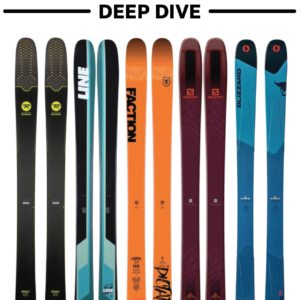 So if you prefer game-on types of skis but have often found them to be too heavy, here you go. But if you prefer your chargers to have more mass behind them (think Blizzard Cochise or the Head Monster 108), then the Dictator 3.0 might have you wishing for a heavier, more planted feel. 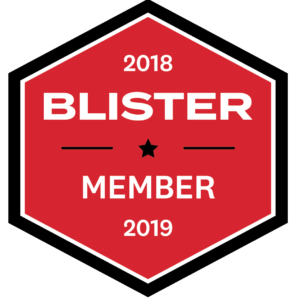 Become a Blister Member or Deep Dive subscriber and check out our Deep Dive of the Dictator 3.0 to see how it stacks up against the HEAD Kore 105, Line Sick Day 104, Faction Candide 3.0, Black Crows Corvus Freebird, Moment Belafonte, ON3P Wrenegade 108, and the Blizzard Cochise. Any ETA on when the full review will be up? How does this ski compare to the Head Kore 105 as another lightweight, yet very stiff, ski? I doubt that this was your intent here, but you’ve written yet another review of a ~105-110 charger that makes me feel like I absolutely, positively have to get on a pair of Monster 108s this season. And maybe buy them before Head decides it’s time to mess with or discontinue a good thing. Wow, sounds like the ski for me…if I was younger, stronger, better, and insane!! And not married with kids and had a lot more life insurance. Yeah, perfect. Great review, made me cringe for you guys. Ha, you definitely shouldn’t cringe for us, Rich, because Sam and I both had fun on this ski — it’s fun to jump on a ski that asks you to step your game up, since so many of the skis we review will let you get away with murder. We just think the 3.0 really shines in some pretty specific applications, and it calls for a strong, high-level skier. Hopefully we made that clear. Thanks for the update! Any feelings on how these compare to the DPS Wailer 105 in the metal layup that you reviewed, other than the weight? I’ve got a couple hundred days on the 105s, patrolling and freeskiing. While I think they’re definitely fun (the 105), I’ve often found them to be fairly demanding and “game on”. Looking at the 3.0 as a replacement. Thanks for any insights. If I’m 6’5″ 190 lbs and I love the 190cm metal Volkl Katana for high speed charging and medium speed carving and pop out of carved turns, but don’t love the 193cm Blizzard Cochise because it doesn’t give any energy out of medium speed turns and it slarves more than carves, where does the 186cm Dictator 3.0 fall? I’m thinking of running it with CAST bindings (or the new Salomon Shift?) as a Colorado backcountry ski. Have you spent time on the Dictator 1.0 or 2.0. If so, how do they compare to the moment Tahoe? Just bought 174’s in Revelstoke, BC. Need something to ski the groomers. I am an old lady (born in 1961), who grew up skiing Stowe, VT. I love how these skis hold. Feels like an old fashioned race ski. I am completely comfortable. You can rely on these to be right under foot. Don’t let the young boys and their reviews scare you away. They won’t be my powder ski. Why Dictator 3.0, and not 2.0 or 1.0 for groomers?